SUNRISE is a joint UK-India project to develop efficient, low-cost solar technologies and deploy them in rural India. Led by Swansea University, the SUNRISE network unites 12 leading universities and several industrial collaborators from the UK and India in an equitable research collaboration. Through the establishment of this international network we will develop and implement the technology necessary to build a minimum of five solar-powered building demonstrators in rural Indian villages. In doing so, we hope to establish an enduring UK-India collaboration and increase research and delivery capabilities in both countries. 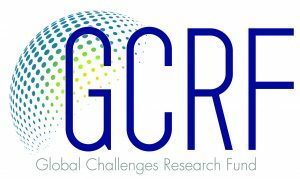 SUNRISE is funded by GCRF (Global Challenges Research Fund), a £1.5 billion UKRI fund established to support research that addresses challenges faced by developing countries.